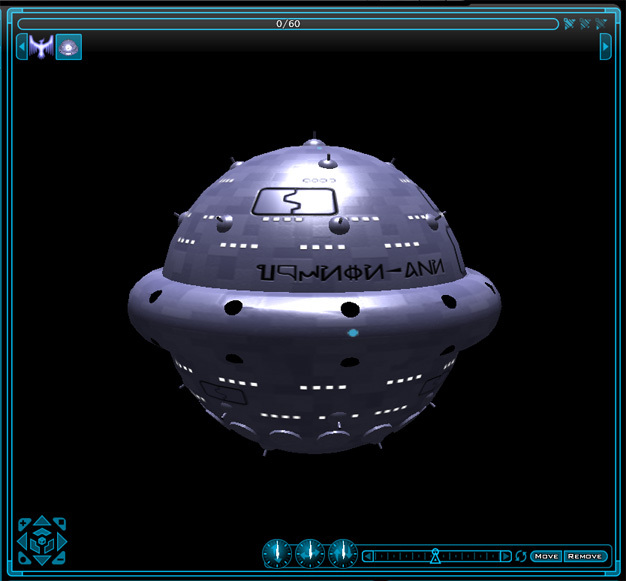 The TERRA was the first capital ship, which was built on earth. 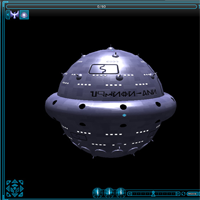 The spherical ship with a diameter of 200 m was first heavy cruiser of the TERRA class and also their name giver. Commander of the ship was first Conrad Deringhouse, after him Captain McClears. As engines functioned impulse engines, Antigrav as well as a Transition-engine for the FTL flight. Sorry this will not work because it is no ship from the ship-constructor. It is a complete new 3d-model.